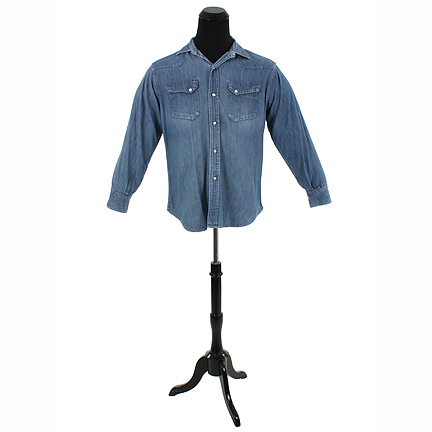 This shirt was worn by the character Benjamin Button portrayed by actor Brad Pitt in the 2008 feature film “The Curious Case Of Benjamin Button”. 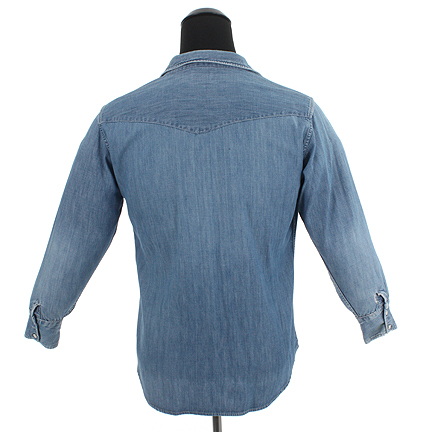 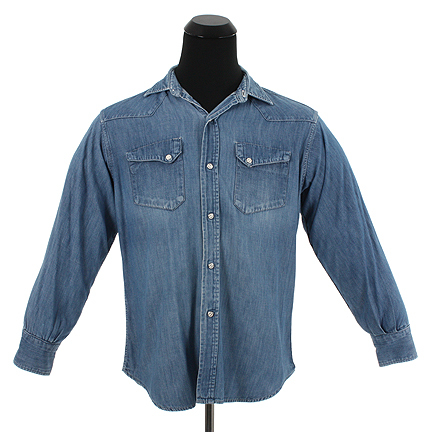 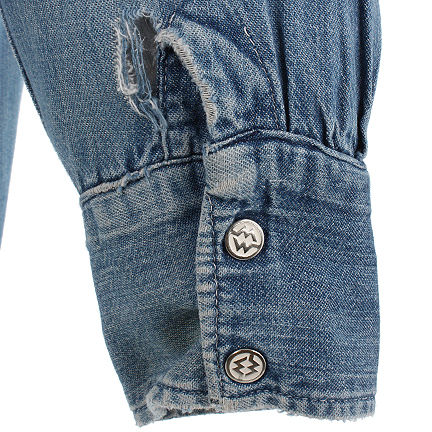 The 1960’s vintage denim western style shirt was made by “Montgomery Ward“ and has white pearl and silver snap button closures. 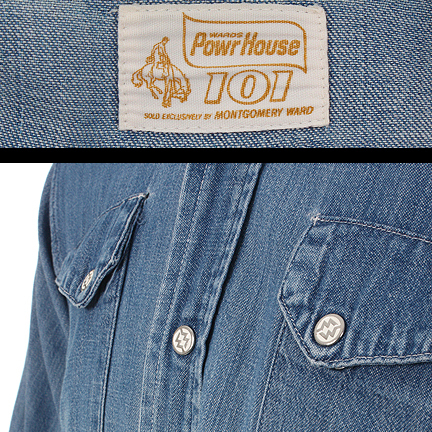 The production HOLD tag with the character name, change, scene number, day, year 1969 "INT Town House" is attached. 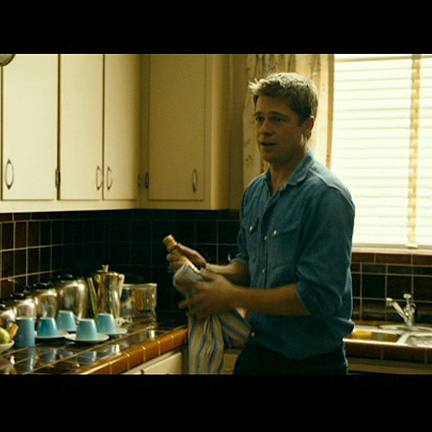 Mr. Pitt can be seen wearing this shirt while celebrating the 1st birthday of their daughter Caroline. 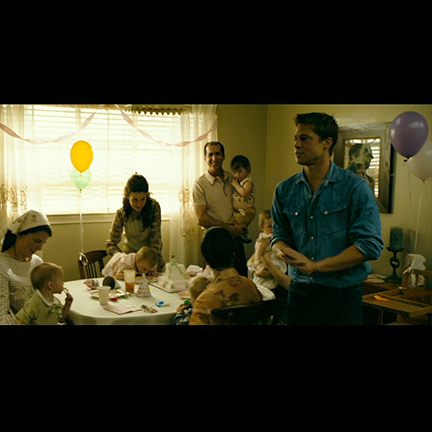 After the party, Benjamin decides to leave his family because he is becoming younger and younger, fearing that he'll be a burden to Daisy and a failure as a father. 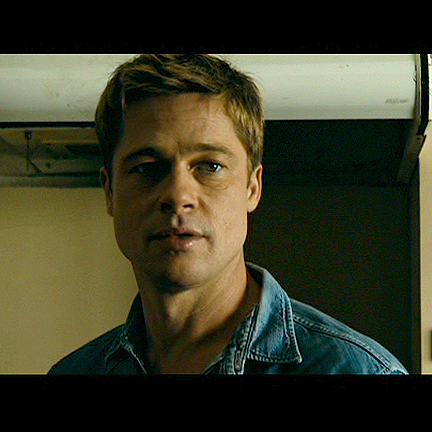 Directed by David Fincher, this film went on to win 3 Academy Awards for Best Art Direction, Makeup and Visual Effects. 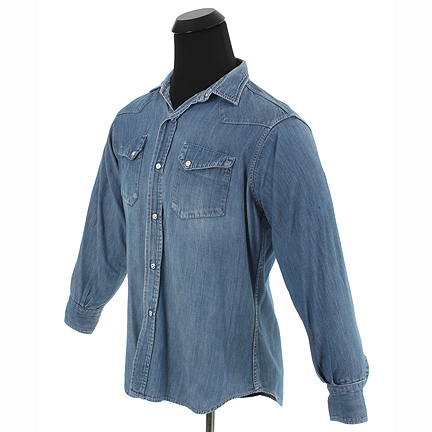 This item is accompanied with a letter of authenticity from the costume house.